Show your support by proudly wearing or displaying the ribbon. This is a simple but powerful way to display your support for the health and wellbeing of mothers (and fathers as well! ), and the protection and rights of the unborn child. 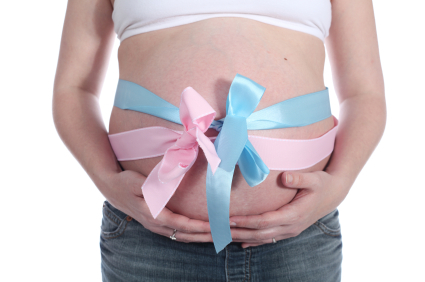 It will also be a great conversation starter when you are asked ‘why the baby pink and blue ribbon’? We will even provide you with some easy one-liner ways to reply.We already have the yellow ribbon, white ribbon, pink ribbon, and blue ribbon campaigns. This is the perfect opportunity to stand in unison and speak up on behalf of children who don’t yet have a voice. You can also sign the petition calling for the protection of the rights of the unborn child and the protection of the health and wellbeing of the mother. Some political parties and lobby groups are already hinting that there will be attempts to liberalise and introduce extreme abortion laws in NZ, which will potentially pave the way for late term abortions (abortion up to birth), ‘gendercide’ (aborting children on the basis of their gender), eugenics, and possibly even partial-birth abortions. This will further build a pro-death culture which is harmful to the health of women and conveniently ignores the rights of the unborn child. It’s time we gave women real choice and information. Significantly, NZ is a signatory to the United Nations Declaration of the Rights of the Child which specifically protects the rights of an unborn child. We’re looking for representatives from churches, schools, family groups, anti-violence groups, women’s and children’s groups, and community groups who will distribute the ribbons amongst their members. Could you be that contact person? This will be a year long campaign – and perhaps beyond. We’ve got 100,000 ribbons (plus some great looking Lapel Pins) ready to deliver, and another order ready to go. As long as you keep ordering, we’ll keep supplying! Shortly we’ll be receiving car magnet stickers which will also be a powerful tool to display the message. We’ll let you know when they arrive. Place your order now for packs of ribbons – quantities of either 100, 250, 500 or more. There is no charge for the ribbons. The message is too important to deter people because of the cost. However, if you would like to make a donation / koha to the CHOOSE LIFE PINK & BLUE RIBBON CAMPAIGN, that would be greatly appreciated. and we’ll get the ribbons to you pronto. We’ll even include some complementary Lapel Pins for the organisers! Donations toward this campaign and to cover our costs can be made on our Support page /donations/ There are a number of payment options. Please note: Although Family First is co-ordinating the campaign, we are more than happy for groups to make it their own. It’s the message that’s important – not the messenger. 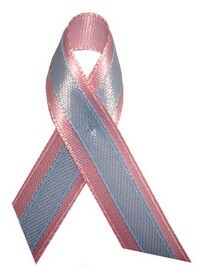 Imagine if we could get crowds of people wearing their pink & blue ribbons en masse. It would certainly raise the profile of the important debate that we need to have. Thank you for standing with us as we speak up for the wellbeing of families and the rights of the unborn child.